Eventually, Facebook billionaire Mark Zuckerberg's new immigration group lobbying for lower salaries for American tech workers, FWD.us, might get around to giving a facelift to one of the websites it set up for its twin Republican and Democratic sockpuppet subsidiaries. When that happens, the naked contempt with which Zuckerberg and his fellow billionaires view the American two party system won't be quite so blatant. But, in the meantime, enjoy Zuck's view of the profound struggle between Team Red-Blue versus Team Blue-Red. 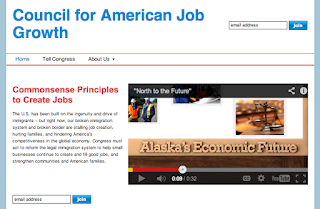 As FWD.us spokesdroid Kate Hansen explained, "Maintaining two separate entities, Americans for a Conservative Direction and the Council for American Job Growth, to support elected officials across the political spectrum -- separately -- means that we can more effectively communicate with targeted audiences of their constituents." The red-blue website features a commercial of Marco Rubio making a pitch for the Gang of Eight and an ad Zuckerberg is running for Lindsey Graham about what a conservative tough guy Lindsey is, which doesn't mention immigration. The idea is to persuade conservative voters in South Carolina that Lindsey, in general, has "our back," which would imply that they should support his Gang of Eight efforts because he knows best. 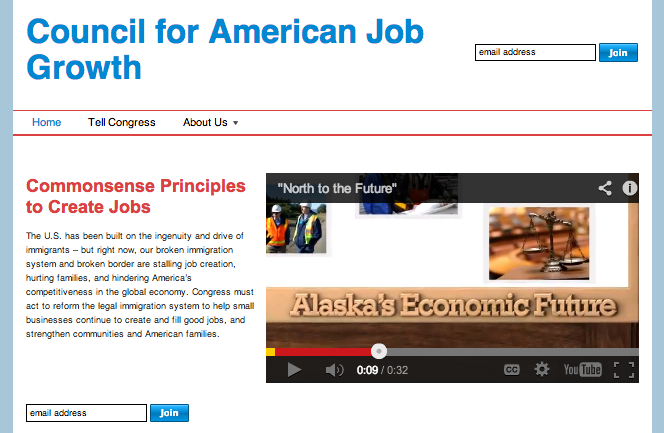 The blue-red website features a Lindsey-like ad for Sen. Mark Begich (D-AK) that serves as a quid pro quo for Begich supporting the Gang of Eight in return for Zuckerberg running this ad in Alaska to convince blue collar Alaskan voters that he wouldn't stab them in the back, so they can trust him when he votes for the Gang of Eight's plan. What's baffling to me is that this kid was allowed to leave the field before police arrived. But hey, at least the immigration reform bill will mean that our recreational youth athletes have to toughen up a little. After reading about Facebook's earnings it makes sense why Zuckerberg is so gung go about this - salaries are the largest chunk of Facebook expenses and salary competitions within Silicon Valley is making it web more expensive. Zuckerberg needs the H1Bs to drive down labor costs. Facebook elected Barry--it's amazing the way his team took advantage of the flock mentality of millions of young people. It worked. Ironically, they don't have the faintest idea how much he has screwed them and their generation. Right. Facebook is basically a mature company by now with a monopoly on its main product. Thanks Steve! You're one of the few people keeping these jerks from getting TOO dishonest. Just to clarify, Zuck didn't set up those two sites himself. The reason they look so similar is that his FWD.us used the same, LA-based company's cookie cutter platform for both. That said, I was thinking about what you said in a previous post about how Zuck was being unsophisticated in his advocacy. Now another famous tech billionaire, Vinod Khosla, is sputtering mad about FWD.us's triple bank shots. Who is less sophisticated here, Zuck or Coleslaw? Or is there simply no sophisticated way to advocate for the importation of cheap labor while appealing to both blue state libs and red state cons at the same time? After looking over these two websites, and seeing the new Facebook Home commercial, my opinion of the Zuck has gone, if anything, even lower. Even if FWD.us and Facebook Home are superb ideas*, the execution is downright sophomoric. Yo Zuck, I'm really happy for you, imma let you finish but Gina Reinhardt is one of the most counterproductive political activist billionaires of all time. Facebook elected Barry--it's amazing the way his team took advantage of the flock mentality of millions of young people. Also Twitter. When I checked the Twitter home page on election day -- not logged in, so I wasn't seeing a particular group of people I follow or anything -- it appeared from what people were reporting that Obama was winning with about 90% of the vote. That's why I'm not especially hopeful that the Internet will bring down the MSM's monopoly on mainstream thought. Yeah, it makes it possible for dissenting voices to find each other and organize, and that's helpful. But it's also a great tool for the MSM to encourage group-think. How many people repost a link or change their image to some kind of ribbon to avoid looking insensitive to a PC cause? Social media constantly prods them to parrot the party line. It'll be interesting to see what the MSM does about their comment sections on some of these issues where too many Americans aren't with the program. My guess is they'll just shut them down or moderate them heavily, but we'll see. That zuckerf*cker is dumb to outsource his lobbying to the third worlders. The cheap product is trash, and this is someplace quality counts! Outsourcing any of the lobbying and propaganda relations work terrifies the chattering class and the political-parasitic class. If he'd just buy a few journalists some chalupas, they'd praise him to heaven. Give the Atlantic the Zuckerberg Journalistic Grant for Journalism Journalist Award as a reward for their commitment to journalistic integrity, and he'll never have to worry about them reporting on him again. It must be nice to be a billionaire, why break the country? Could he just be programmed that way: climb up host society, break host and scatter. What a lysogenic dude. When billionaires buy both parties, how can politics possibly work? If he wanted to buy every American an eightball of coke, would conservatives defend that as political speech? Politics is war by other means. Just for the fun of it, why not use the same Nation Builder platform Zuck used to start your own group? You could play it straight and start a Citizenist group, or be ironic and start the National Association For The Advancement Of Billionaire People. Looks like there's a 15 day free trial there, so it won't cost you anything up front. And if you don't get enough donations in 14 days to cover whatever Nation Builder's fees are, you can cancel it before you get charged. Maybe Zuckerberg is just pulling the ultimate internet trolling. What, he didn't hire a brilliant web development team from Bangladesh to run his sites? Why not? Check out that company's "The Team" page. It's downright offensively non-diverse, starting with the two pasty white guy founders. Then you have a bunch of white-guy developers (the coders) with a couple of white women mixed in there and a white-guy sysadmin and engineers. More women in management and "organizer," whatever that is. Out of about 50 people, there are one or two Asians, one or two blacks, and one guy who looks Hispanic. Where did they find all these American IT professionals who don't exist? How can they afford to pay them the outrageous wages that lazy, untalented Americans demand? How do they keep these sites running without more high-IQ Asians on the team? It's a mystery. I know this has been mentioned elsewhere, but why do software programers even need to immigrate to the USA? Even if you want to hire foreigners over Americans to lower wages, programming seems tailor-made to being an offshore vocation. And don't give me that crap about needing to be around one another at the water cooler to spread ideas. With the reduction in telecommunication costs and the increasing availability of highspeed connections, conference calls and video meetings are easier and more affordable than ever. Also, I wish someone would call the bluff of Microsoft, Apple, Facebook and any other tech company that threatens to leave the USA if they can't get their way. What difference does it make if those companies are American or not? Do the Japanese not have access to the products of those companies because they are not headquartered in Japan? Do the Finns, Russians, Brits, Germans, French, Mexicans and others not get to use those products because they are American companies? Of course not. So if those companies pulled up shop and left the USA, what would we lose? Maybe we'd lose some jobs. Maybe we'd lose some tax revenue. But then again those firms do everything they can to avoid taxes as it is. In fact if they left the USA, the USA would still have the upper hand. Why? Because the USA is still the largest economy in the world. And even when overtaken by China, it will still be a market too big to ignore. Ergo, any company in IT that wishes to be a dominant player must be dominant in the USA. If they were foolish enough to ignore America, other firms would move in. And even when the whites are replaced by NAM's, the USA will still be AWESOME ! ! ! USA ! USA ! USA ! ...When that happens, the naked contempt with which Zuckerberg and his fellow billionaires view the American two party system won't be quite so blatant. Billionaires don't hate the two party system, they love it. To the them Republicans and Democrats are the knives and forks used to pick meat off America's carcass. I remember Steve writing that liberals policies actually keep illegal immirgant down because of high housing. Steve contrasted the Bay Area and La about around 2,005like Zack are soft on illegals but the high cost of housing and the higher wages Santa Clara County makes all business start at least 10 dollars per hr, cuts their advantage, while the biggest growth of illegals in LA was the era when it was amore purple county during the 1980's and 1990's. Illegals make in the 2,000's but as Steve wrote about a family that went to Kentucky La loss its appeal because they were already too many. I know this has been mentioned elsewhere, but why do software programers even need to immigrate to the USA? You're right, they don't. Huge open-source projects such as Linux and Apache are developed by people who, for the most part, never meet each other. All the communication is done online through methods like mailing lists and IRC, and they manage just fine. So why can't for-profit software companies do the same thing? Follow the money. Even today, many people want to live in the USA. Maybe that means people will work for less if it means they get to live in the USA than if the company opened a branch in their native land. I don't know if that's the case, but it seems possible. More certain as a factor is the indentured servitude built into the H-1B visa. IBM has massive turnover in its Asian operations. Low wages don't buy loyalty, and the occasional guy with some skills soon goes somewhere that's paying better than bottom dollar. Bringing them over here on an H-1B makes it harder for them to get trained and then jump ship for a competitor, so there's less turnover. IBM has massive turnover in its Asian operations. Low wages don't buy loyalty, and the occasional guy with some skills soon goes somewhere that's paying better than bottom dollar. Bringing them over here on an H-1B makes it harder for them to get trained and then jump ship for a competitor, so there's less turnover. Surely the sum of salary and other costs of an H-1B should be enough to retain a person in your employ in a Third World labor market. Immigrants help dilute the social, political, and intellectual capital of the diverse white Americans. This "pink for girls"/"blue for boys" split-screen is so funny... It looks like something Howard Schultz or a Maloof would come up with. If you're Mark Zuckerberg you've got to have otherwise-idle political consultants panhandling you every day; this result is so lame it makes me question if he was spending "go away" money. Steve, your supposed to just bow down to genius and do what they say. If Zuckerberg wasn't perfect, how could he be rich? "I know this has been mentioned elsewhere, but why do software programers even need to immigrate to the USA?" - I submit that it might have something to do with the current state of India. 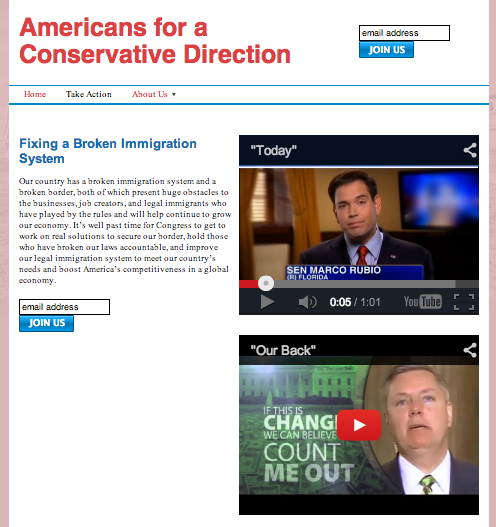 I've seen better-looking MySpace pages. Painfully transparent, but so is the whole Democrat-Republican split in and of itself. Both parties are in agreement on the issues that actually affect our country the most (differing primarily on the tactics to reach agreed-upon goals), forming a de facto single party system. Our two party facade exists primarily as an outlet for voter frustrations so the public doesn't go too crazy and actually do something to force meaningful policy change. Anon 5:04, Ms. Rinehart looks like the kind of woman who has a few OTHER tasks for her African miners. Charles Murray: "Integrity. Loyalty. Balls." Why were these guys in our country again? Lindsey Graham: Mexico is a "hell hole"
"Jason Richwine and a Bottle of Rich Wine"
Are Libyans culturally enriching Italy?